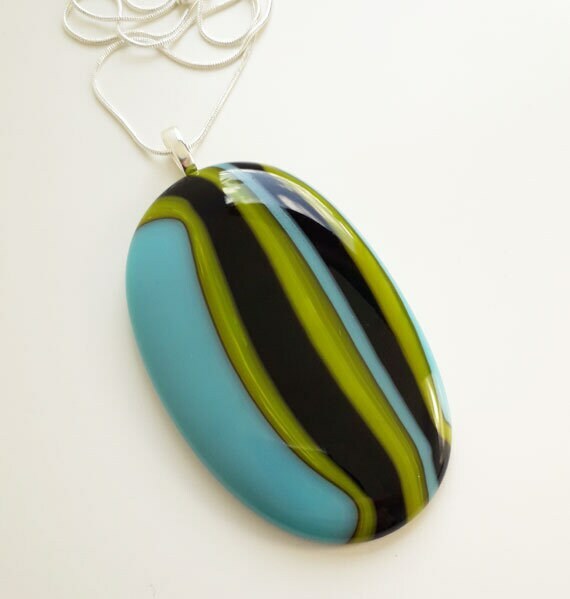 Big glass pendant, made from stripey blue, black and green fused glass. 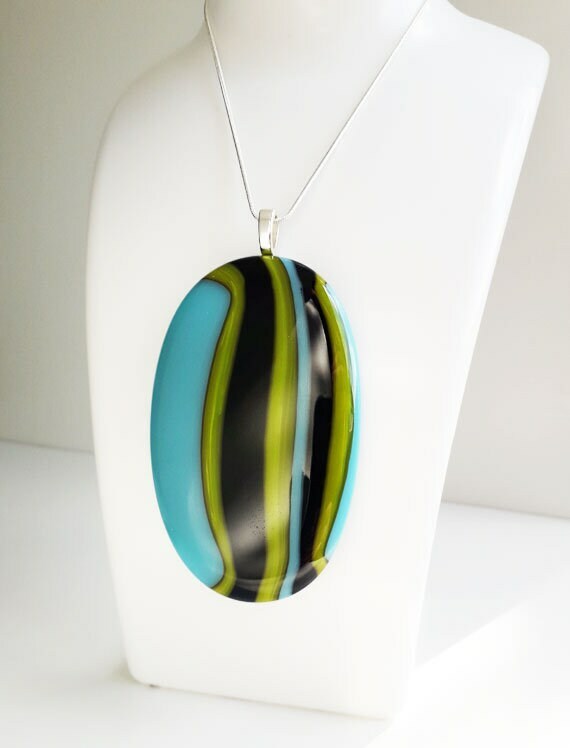 This is a really big pendant, made from fused glass in a stripey mix of turquoise blue, spring green and black. Very bright and summery. 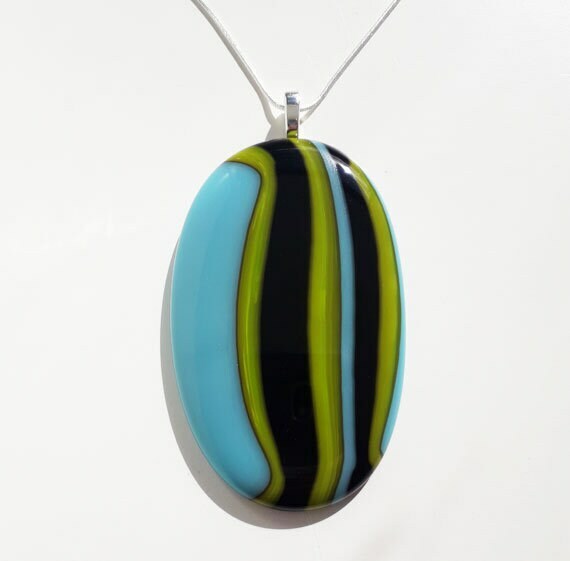 It's oval shaped, and about 80mm long and 50mm wide at its widest point. 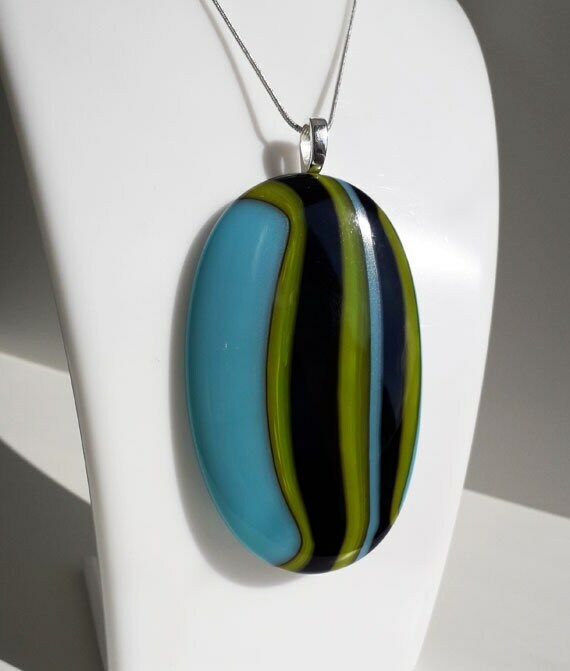 It's very big and chunky, and it's heavy enough to hang nicely but still light enough to wear comfortably. 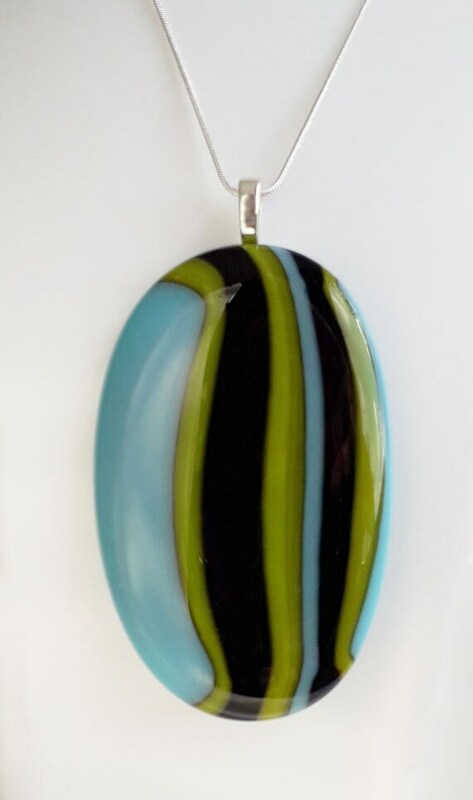 It hangs from an 18 inch silver chain on a silver leaf bail.